Wherever we want to go in life, there’s usually a qualification that can get us there that little bit quicker. While some can stand looming over us, barring advancement in our careers, others are designed to give us a helping hand, serving as a shiny badge to prove how good at our jobs we are. A CSCS card will do just that. 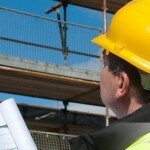 If you’re working in the construction industry, a new CSCS card is your passport to promotion. But how exactly can you go about getting one? Here’s our quick guide to help you on your way to becoming a certified and exceptionally safe individual! Before you get a card, you need have the qualifications and training relevant to your trade and you need to have passed the CITB Health and Safety Environment Test. If you haven’t passed the H&SE test yet, not a problem. You can book the test through a few different companies. It only takes 45 minutes and there’s a wealth of revision material available for your perusal. Yes, CSCS cards require you to have a national vocational qualification to your name, though it’s most likely that you’ve completed a qualification like this during your working career. Regardless of whether a CSCS card was your goal, apprenticing or training in a certain area of construction will most likely have resulted in gaining an NVQ along the way. You’ll be asked to come in, sit down and show your certificates. No NVQ, no card so if you haven’t got one, you’ll be required to do so. Once the above conditions are all met, you can get your card! Your chosen company will take all the necessary details (and your photo) and order your card for you, all you have to do is go home and await your new card to come in the post! Once you’re qualified, your CSCS card will last for five years and will allow you access to all professionally run construction sites and should serve to provide you with reliable, continuous job prospects.